In pursuing a pure sports car you can drive every day, a few requisites need to be met. The car must have strong acceleration and precise cornering, yet it must also have creature comforts and acceptable fuel economy. 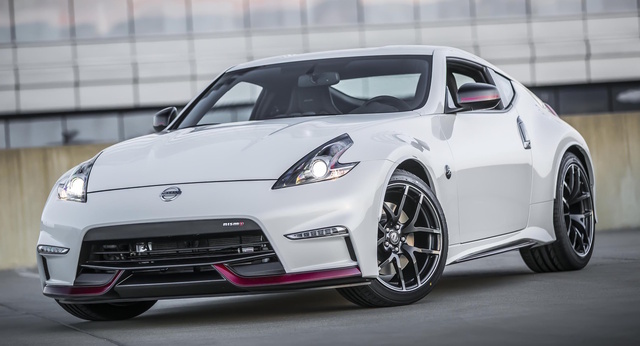 The 2017 Nissan 370Z meets these requirements and then some, delivering a driver-focused sports car that will hold its own on the track as well as the freeway. For a certain subset of sports-car enthusiasts, the letter Z carries a historical significance. Going as far back as the Datsun 240Z, the forbears to the 370Z delivered reliable performance wrapped in a handsome sports-car package. That long hood and raked rear windshield profile were baked into five subsequent generations of the Z, culminating in the current generation. This sixth-generation Z arrived for the 2009 model year and has itself evolved, including a 2013 mid-cycle refresh that featured an updated front fascia and improved equipment availability. Those changes carry into the 2017 model, seen here. The Nissan 370Z is effectively available in 3 sub-models: the Z Coupe, Z Roadster, and NISMO Z. Trims for the Roadster (convertible) are the Base, Touring, and Sport, while the Coupe offers the additional Sport Tech trim. The Base trim puts the focus on the driver and handling--standard equipment includes 18-inch aluminum-alloy wheels wrapped in Yokohama ADVAN sport tires, bi-directional Xenon HID headlights, LED daytime running lights, 8-way driver and 4-way passenger manual-adjustable seats, Bluetooth connectivity, and a basic 4-speaker stereo with an auxiliary audio jack. Moving up to the Touring adds leather and suede upholstery, power heated seats, a Bose audio system, and a 7-inch touchscreen navigation system with real-time traffic and weather updates. The Touring also comes with satellite radio, voice recognition, and active noise cancellation. Sport and Sport Tech trims get RAYS lightweight forged-aluminum 19-inch wheels wrapped in Bridgestone Potenza performance tires. Trims for the Z Roadster are the Base, Touring, and Touring Sport. Trim breakdowns are roughly similar to the Coupe, but both the Touring and Touring Sport trims get heated and cooled seats, a welcome option when driving with the top down. The Roadster loses the rear seats of the Coupe in favor of a power soft top that opens or closes in just 20 seconds. The top can be lowered via either a center-console switch, driver-side door button, or the key fob. The 370Z is fitted with a 3.7-liter V6 with continually variable valve control and sequential multi-port fuel injection. In the Z Coupe and Z Roadster, this engine makes 332 hp and 270 lb-ft of torque. Power is sent to the rear wheels through either a 6-speed manual transmission or a 7-speed automatic with manual tap-shift mode and available paddle shifters. Both manual and automatic transmissions have a form of rev-matching, which automatically blips the throttle when performing a downshift. This is an important part of racing and performance driving, as the jerking sensation of an un-rev-matched downshift when cornering and braking at the same time can throw you off your perfect race line. This feature allows you to perform this without the typical “heel-toe” maneuver of expert drivers. Essentially, the rev-matching allows you to drive more like a professional race-car driver. The Z Coupe and Z Roadster have superb handling, thanks to double-wishbone front and multi-link rear suspensions and front and rear stabilizer bars. Moving up to the NISMO Z pushes the performance envelope even further. For starters, the 3.7-liter V6 is tuned to put out 350 hp and 276 lb-ft of torque. The NISMO Z ditches the rear seats to reduce weight and gains a tuned exhaust system, ventilated front and rear disc brakes, revised aerodynamics, red accents, standard navigation, RAYS wheels, and a standard rear-view camera. While the rear-view camera is standard on the NISMO, you’ll have to select the Touring or Sport Tech trims to get that feature on the Coupe, or the Touring or Touring Sport trims on the Roadster. All versions of the Z come standard with front- and side-impact airbags, active head restraints, front and rear crumple-zone construction, vehicle dynamic control, traction control, and a tire-pressure monitoring system. The roadster additionally has fixed headrest bars. Base MSRP for the 2017 Nissan 370Z is $29,990 for a Base Coupe. A Sport starts at $33,570, while a Sport Tech starts at $37,070, and a Touring runs to $37,970. The NISMO Z starts at $41,990. The Roadster starts at $41,820; a Touring Roadster starts at $45,270, and a Touring Sport goes for $48,100. A Touring Sport with options can climb past $50,000. Be it the Coupe, Roadster, or high-performance NISMO, the Nissan 370Z is more than just a 2-door with a potent V6. It's a combination of attributes that deliver an incredibly exciting driving experience without sacrificing daily comfort and usability. What's your take on the 2017 Nissan 370Z? TheHorror The Z was great when the Mustang GT only made 300 horsepower. 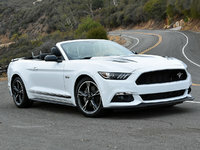 Now, for the same money, you can get an extra 100 from the Camaro and Mustang (and rear seats). Have you driven a 2017 Nissan 370Z? Looking For. 2016. 2017. Nissan 370Z Hdtomatic. already started the process and wanted to add pics but cant find the original information?